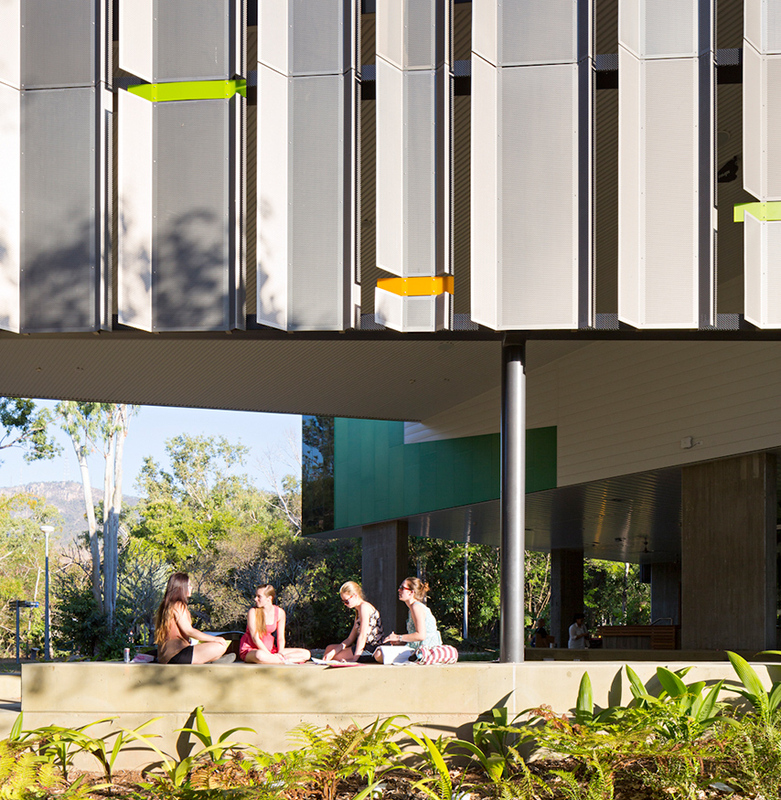 The Brisbane Grammar School’s new integrated learning facility, The Lilley Centre, represents a significant transformative physical, symbolic and pedagogical shift from the school’s 19th century roots. 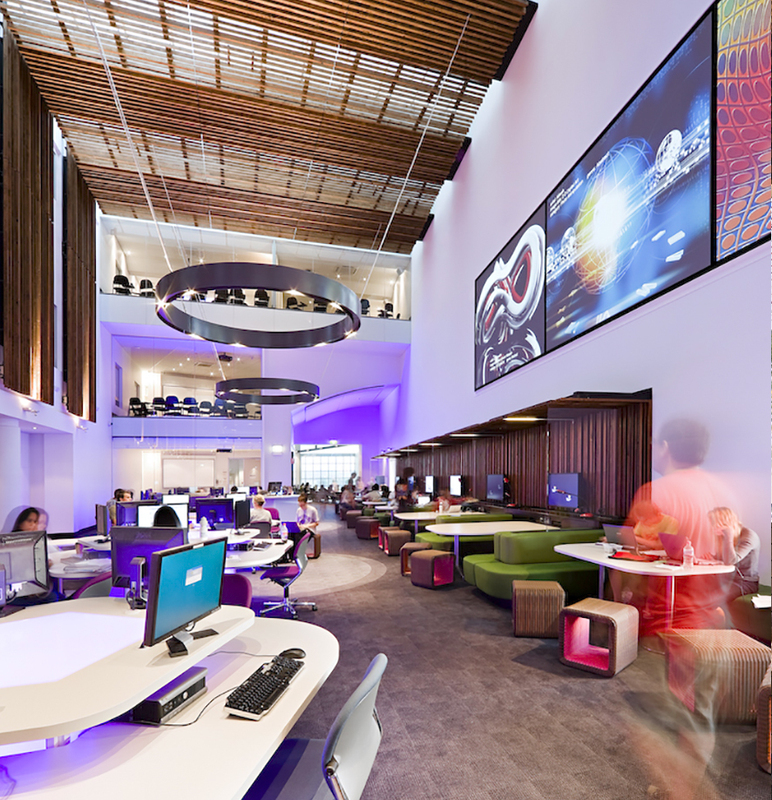 The Lilley Centre operates as the hub for the School’s academic infrastructure, incorporating library, information technology, counselling and advisory and professional development services in an environment that is in all ways learner centred and learning focussed. 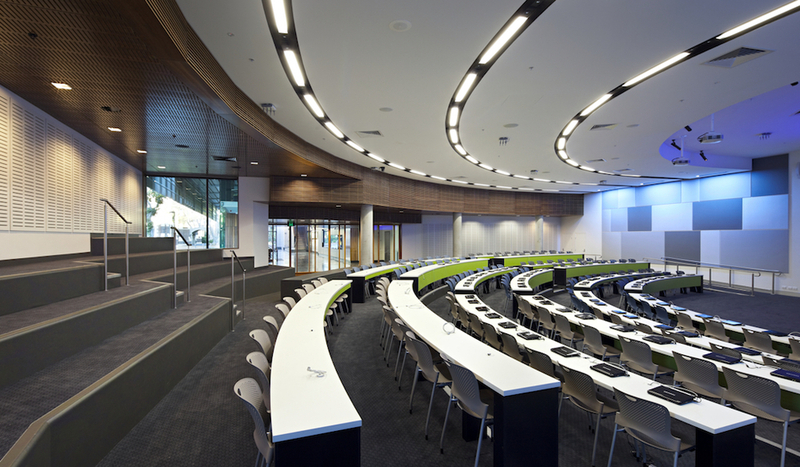 The many flexible and technologically enhanced learning spaces that define the building’s central purpose function to provide learners with immediate access to knowledge and information in multiple formats and combinations. Physically, the building moves away from the traditional introverted characteristic of learning into a new open, transparent inter-relationship with both school and city. Symbolically, the building reinforces and reinvigorates the schools heritage whilst investing enormous faith in the future. The challenge for any new building on a heritage site is to not obscure the cultural significance of the place, and be sympathetic without imitation. This project explores both the intimacy to its heritage neighbors and the scale of its relationship to city and its surrounding ranges. The composition shifts as it responds to these different alignments with careful consideration given to the experience from the city as much as from the historic Great Hall and The Boarders Lawn. The new building is simultaneously subordinate to the historic fabric and celebratory to the city.